Good. 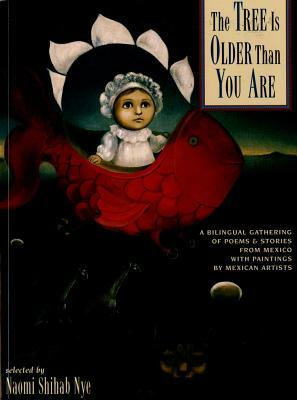 Tree is Older Than You Are: A Bilingual Gathering of Poems and Stories from Mexico with Paintings by Mexican Artists by Nye, Naomi Shihab. Text in Spanish, English. Sewn binding. Cloth over boards. 111 p. Intended for a juvenile audience.